The sheep sale season is kicking off and there’s a new project on the horizon! August started with us combining our winter barley with a fantastic crop and some good straw. Since then the weather seems intent on getting things wet. Thunder showers seem to continually appear and ground conditions are soft. We have just picked up the last of our 3rd cut silage, it seems like the weather has been waiting for the kids to go back to school before finally faring up! We are busy cleaning out one of our free range houses at the moment. The birds are depleted at 72 weeks old and the clean out requires us to dismantle all equipment, muck out, wash out and clean, before putting it back together. We do all of this ourselves in four weeks before restocking. This extra work is stretching us but we’re getting there. We have now taken on an apprentice and Ben is proving a valuable addition to our team. He’s keen to learn and has started well. As I write, the sheep sales have just kicked off for us, we are both buying and selling. The first of our tup sales have been a bit below par but both commercial and pedigree females have sold well. On the buying front, we have been buying mule shearlings as usual and their value has remained stronger than we expected, but as ever, good sheep sell well! We have bought a new Texel stock tup with Aman William Williams bought at Carlisle. He’s a tremendous lamb and I look forward to seeing how he performs. The upturn in the lamb trade has been very welcome and will be a boost in confidence to the sheep industry as we set the breeding wheels in motion for 2016. Although prices are still low I would hope retailers would use the opportunity to reduce the shelf price to persuade more consumers to try lamb as we approach autumn. British lamb is available all year round, with winter lamb remaining very much in season. It might keep the Kiwis away from our shelves…. Building at Robswater continues. The cow housing is coming on with the frame and roof now built. Robert Long erected it in record time and things are taking shape. The clay mould for the slurry stores seems to be a success, with slats and cubicle beds now fitted on top. Simon is managing the build and is hands on at every stage. We hope to be up and running by the autumn. Then we begin a new learning experience! 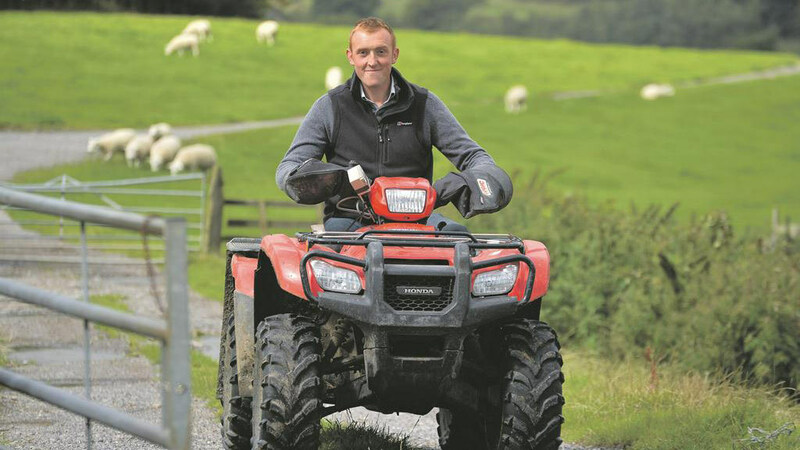 Will Case farms 300ha (750 acres) in partnership with brother Simon and parents William and Margaret at Ulverston, Cumbria. Land is divided between Plumpton Cottage Farm, and Robbs Water Farm, near Burrow in Furness. They farm 1, 000 lowland ewes, 90 pedigree Texel ewes, 65 Salers suckler cows, fatten 150 bought-in store cattle and have 12,000 free-range laying hens.